AMC’s Preacher Finds Its Arseface! Uhumcuh uhcuh huh fuhduh uhuh uhfuhh! Or, to put it in terms that are a bit easier to comprehend, AMC’s “Preacher” has found its Arseface! Deadline has the news, reporting that the upcoming television adaptation of Garth Ennis and Steve Dillon’s Vertigo Comics series has set Ian Colletti (Jimmy, “Rake”) to play the supporting character opposite Ruth Negga’s Tulip O’Hare. “Preacher,” published between 1995 and 2000, tells the story of Reverend Jesse Custer, a small town Texas preacher who, nearly at his faith’s end, finds himself merged with a supernatural entity, Genesis, birthed from both an angel and a demon. Imbued with the word of God (the ability to make anyone obey his commands), Jesse hits the road, reunited with his ex girlfriend, Tulip, and joined by a rowdy Irish vampire, Cassidy, to track down God himself and force him to explain why he abandoned his duties in Heaven. In the comics, Arseface is the son of the incredibly unlikable Texas Sheriff Hugo Root. Inspired by Kurt Cobain, the teenage Root (whose real name we never learn in the comics but who, in the series, is being called Eugene) attempted to kill himself via a shotgun blast to the face. The boy survived, however, and found himself significantly deformed as a result. A Sony Pictures Television and AMC Studios co-production, “Preacher” will be produced by Evan Goldberg and Seth Rogen through their Point Grey banner, along with Neal Moritz’s Original Film. The pilot was written by Sam Catlin and has Rogen and Goldberg attached to direct. 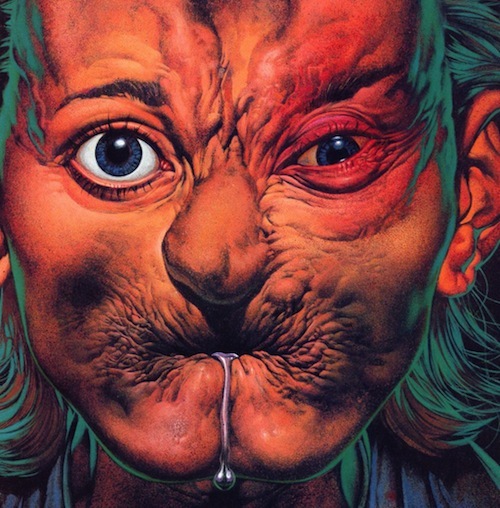 “Preacher” is set to shoot this year with an eye toward premiering in 2016.